And wished you could undo it. This post is for you. 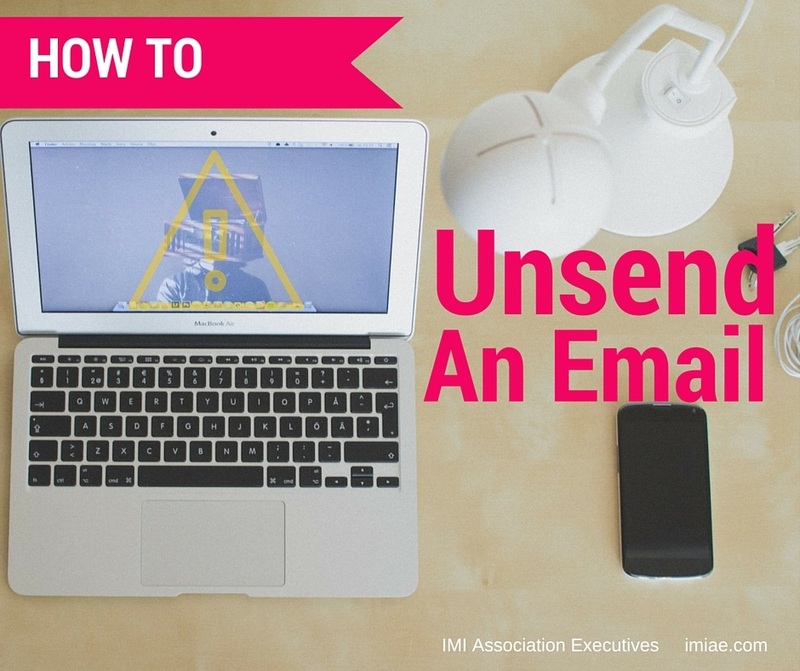 How to Unsend an Email … Sort Of. 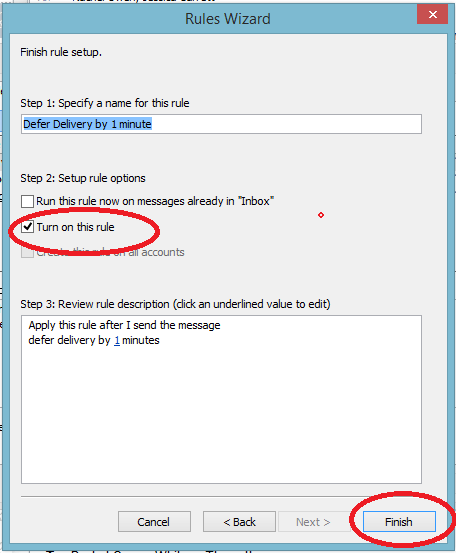 Using Rules in Outlook, you can set up “deferred delivery” of an email such that after you click “Send” your email will sit in the Outbox for a time before it actually sends. During that time, if you suddenly realize you forgot the attachment, etc., you can re-open the email in your Outbox, make changes, and click Send again. While this function won’t actually bring the email back after it has been delivered, it does give you a small window of time to fix a mistake. If you use Gmail, you can enable the Undo Send feature. 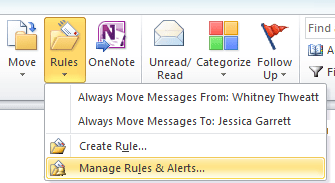 Click on Rules > Manage Rules & Alerts. 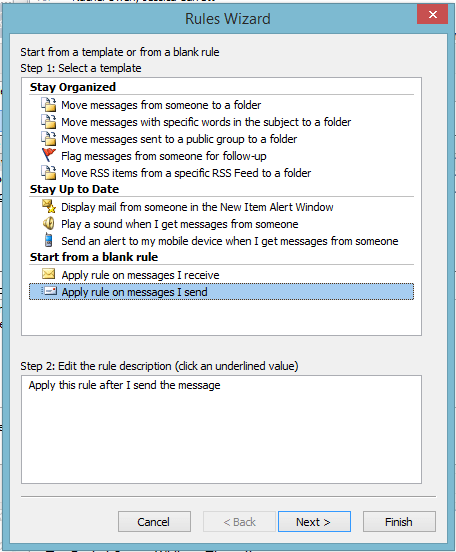 At the pop up, select “Apply rule on messages I send” > Click Next. At the “Which condition(s) do you want to check?” screen, do not select anything. Click Next. Click “Yes” when prompted to apply the rule to every message you send. 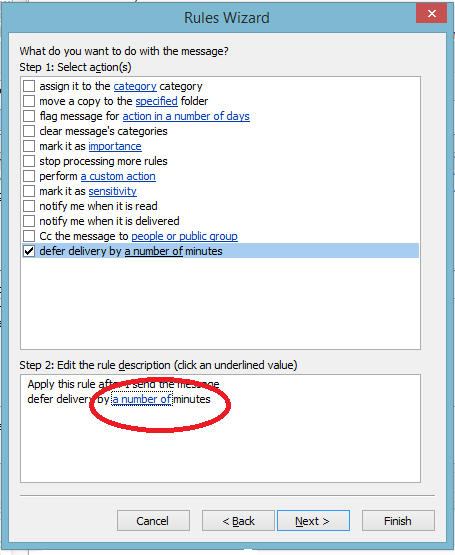 Select “Defer delivery by a number of minutes.” In the Step 2 box, click the “number of minutes” to specify how many minutes to defer delivery. Click Next. A one minute delay has served me well. If you find that one minute isn’t enough time you can always modify the rule to boost the delay to two minutes or more. On the next screen, you can set up any exceptions to the rule here. If not, click Next. Name your rule, select “Turn on this rule” and click Finish! If you don’t want to delay all of your emails, check out the first part of this post for how to delay a single email. Do you have any other email tips? Please share in the comments below! Want to know more about association management? Contact us info@imiae.com to find out more about what IMI Association Executives can do for your organization. What’s Your Organization’s Word for 2019?